This unique piece of copper art will add elegance and style to any home! 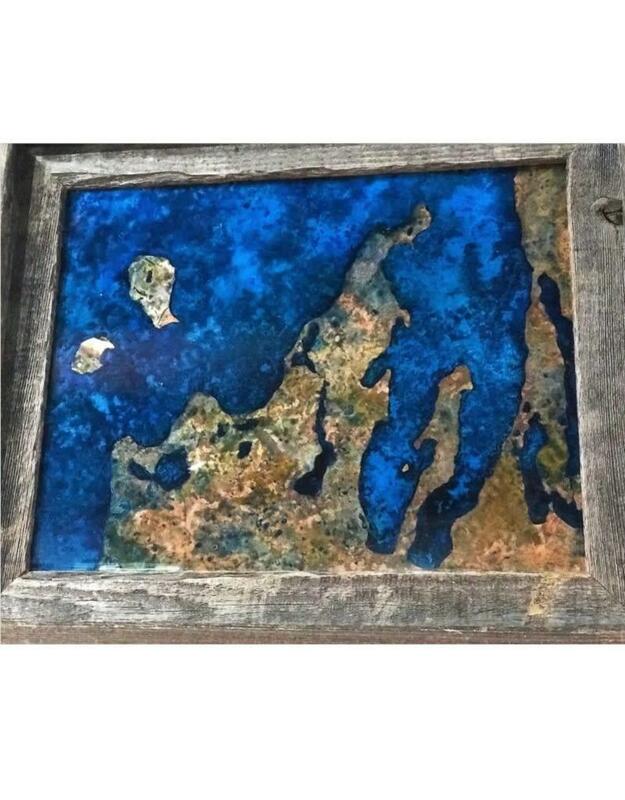 The art work is made of heavy gauge copper, using acids/oxidation to achieve beautiful deep blues and patinas and is then sealed in crystal clear resin. The art is made in a 42 Step-10 Day Process,. 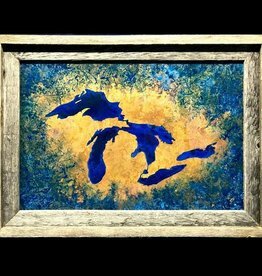 Each piece is original and signed by Michigan Artist; Alex Teselsky. The pieces are framed in authentic, re-purposed barn wood. 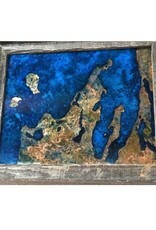 Each piece is slightly different as the oxidation process is unique to each piece. 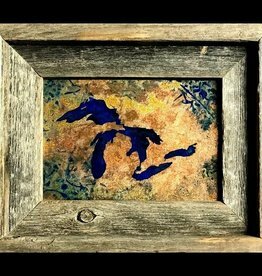 We are proud that Alex has given The Bear Den the privilege to sell the Leelanau design exclusively! You cannot get this design anywhere else! 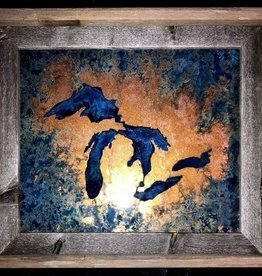 Alex is a featured artist for Pure Michigan and has created several copper art pieces for universities, government entities, and people throughout the Midwest.